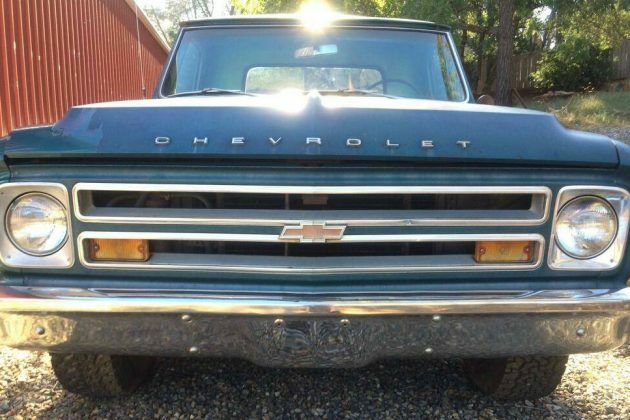 Thanks to Rocco B. who spotted this 1967 Chevrolet C/20 pickup truck that accumulated most of its (unlisted) miles under the seller’s Grandfather’s cab-over camper. Looking almost completely unmolested, Grandpa’s old camper truck is offered on craigslist in the San Francisco, California area with an asking price of $4,500. Do you see any flaws in that grille or bumper? Sadly the seller reports the camper was damaged beyond repair in 1999 and the truck has been in storage ever since. 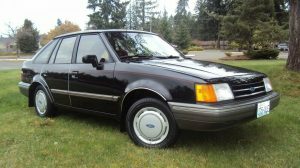 So what makes it a C20? The 3/4 ton C20 was well-suited to having a camper permanently installed in the bed, and came with a heavier suspension and other changes to support a higher payload and towing capacity than the more pedestrian 1/2 ton C10. 1967 was the first year of this body, which carried through to 1972. 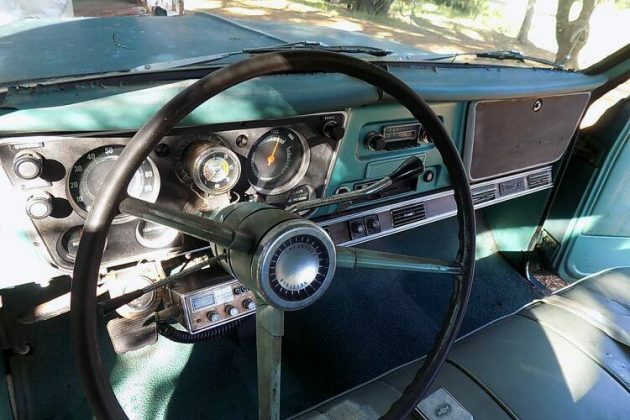 While the most basic Chevy pickups had a body-color glove box door, this C20 is still rather spartan with the rubber floor mats and 3 speed “Three on the Tree” column shifter. See the Motor Minder? Grandpa did splurge for air conditioning, though–a true luxury in a 1960s pickup. While the dash looks to be cracked from the California sun, this interior snapshot could have easily been taken in 1975 or so. 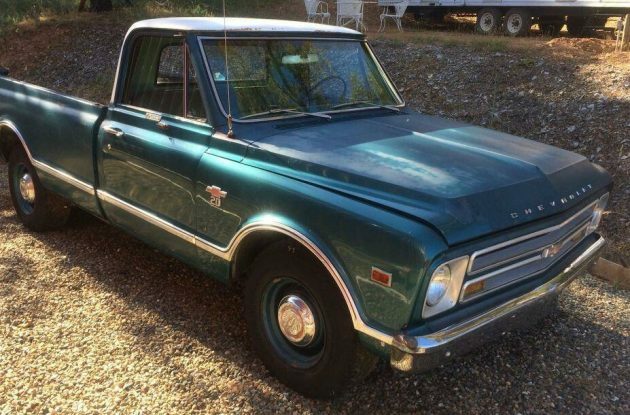 This truck’s 327 cid V8 was the top rated powerplant that year. The small rear window is a ’67-only feature and was enlarged for 1968. 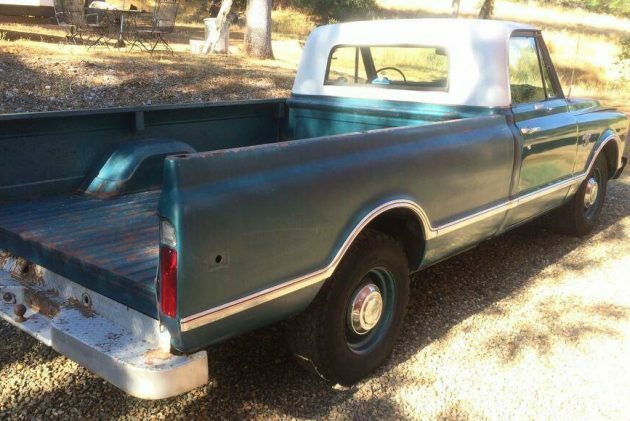 Said to be solid and rust-free, the truck might be perfect for someone with a late ’60s Camper looking for a mate. 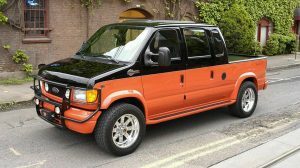 It might serve as the perfect tow vehicle for a Corvette or Camaro of the same vintage. What would you do with Grandpa’s Camper? And deleted already. Nice unit although the 3 speed manual in a 3/4 ton will take some getting used to. I like the 327 motor. My dad had a ’68 1/2 ton Custom Camper with one; probably not a good one for an adolescent with the ink still wet on his driver’s license. Coming soon to a flipper near you. marketed as a cut above the Chevy in all trim levels. From 1955-57, I know the GMC came with a Pontiac V8 instead of the Chevy- not sure after 57. This one appears to have factory side markers, at least a place on the bed for one, and one on the passenger fender. I’m wondering if they were optional prior to becoming mandatory in ’68. I believe the big back window was an option also. I had a 1968 Chev, what model number it was, I just don’t remember, other than it was called a heavy 1/2, whatever that means. It was gold,except for the cab top which was white. The cab top had three clearance lights on the top. Bought it for $700, sold it for $50. Bought it, found out it was a V7, never could get the one cylinder to fire properly. You (well I) had to pull on the steering yoke to get into 1st and reverse. On 4 occasions, people tried to steal it, and 4 times they could not get it into reverse, but once it was smashed into my garage door. I’m a Ford truck guy but have owned a 68 1/2 ton 4×4 with a 327 and I loved it, painted it 95 Mustang chrome yellow and boy did it stand out. Was the only one like it in our small town and my kid used it a few times and he found out you can’t get away with anything in small towns without dad knowing about it. My dad ordered a 76 heavy half ton. I think that meant it had heavy duty suspension and for that year no catalytic converter. He orders it with the three on the tree, no air but full gauge package. Wasn’t going to keep it. Uh huh, guess who has it. It’s interesting to see a 1967 model with side marker lights. Was this a C20 thing, or? 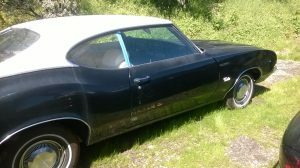 I was thinking the same thing, may have been a late ’67 or available as an option. I know the big back window was an option, tho you rarely see a ’67 with it. This is a ’67 but it shouldn’t have side marker lights until ’68. It looks like the right rear quarter was replaced with a later one at some point and then an aftermarket light was mounted to the front fender. The ’68+ were originally recessed like the rear quarter.